RSDirectory! 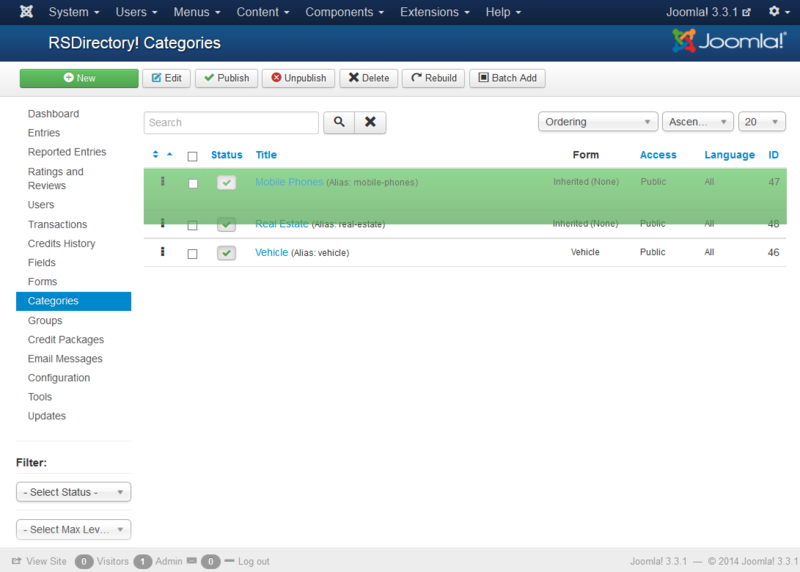 - How to order categories in RSDirectory! Home / Support / Documentation / RSDirectory! / Frequently asked questions / How to order categories in RSDirectory! How to order categories in RSDirectory! 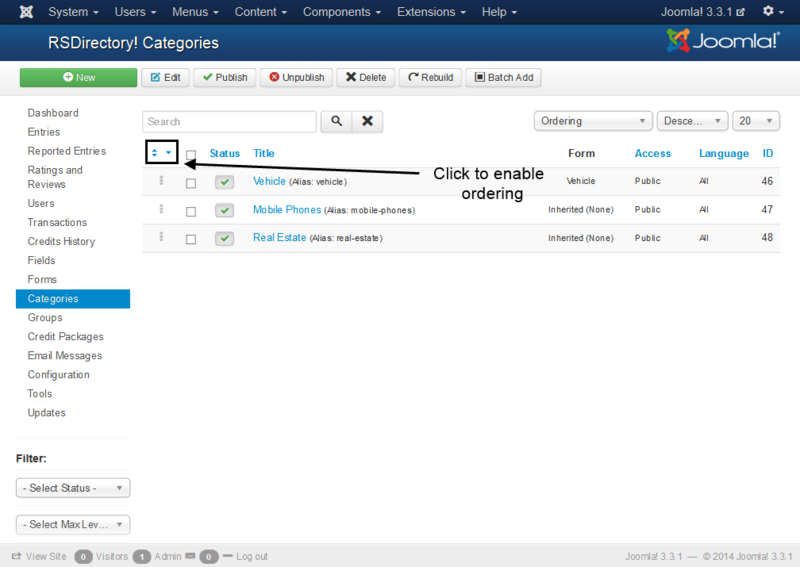 Although there is no specific setting for this, the items ordering for the List Categories menu item is possible, and can be done manually. RSDirectory! 's backend listing provides a very flexible ordering capability, which allows full control over this type of scenario. Mainly, you can order them in any way you like, and this will be reflected in the frontend as well. How to create a clickable link in RSDirectory!